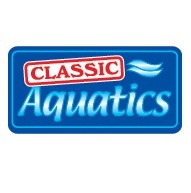 ﻿We stock a complete range of aquatic products & accessories from the world's leading manufacturers. Some of which are listed below. Eheim has been developing and producing high quality products for the aquatics market for over 50 years. eSHa Aquarium Products have over 35 years research and manufacturing expertise in Health care products for ornamental fish, Supplements for tropical fish, Products against aquatic snails and algae, Products for aquatic plant growth and health & Test strips for determining water quality. ​Kusuri specialise in manufacturing products for Japanese Koi carp and ornamental pond fish. With a range of Foods, Medications, Treatments & Test kits its a great selection of products to stock. For over 25 years Newa products have been renowned for their technical innovation, elegant deisgn and reliability. For decades Oase has stood for creative design using water. Fascinating water effects in private gardens to large imposing installations in the public area. Founded in 1948 Oase has developed itself into a global player with a reputation of innovation & quality. The Tetra group employs over 700 colleagues, has representatives in more than 90 countries worldwide and is the largest manufacturer of aquaristic and pond products in the world. In 1989, D-Pac Limited established itself as a manufacturer of pet care products. 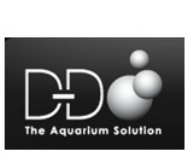 Since then the company has gained a reputation as being the leading supplier of aquatic and reptile substrates in the United Kingdom. Waterlife are manufacturers of aquarium disease treatments, tap water conditioners, pH buffers, plant foods, test kits, sea salt, reef additives, filtration media, pond medications, algaecides, fish food etc. Founded in 1978, Italian manufacturer Askoll is at the forefront of innovative aquarium and technical accessories. The Askoll pumps and electrical motors feature high efficiency and functionality, guarantee significant energy savings and improved performances. ​For over 40 years, API has been a leader in the Aquatics industry developing and perfecting products and solutions for indoor aquariums. API’s family of products includes treatments, testing, nutrition, and equipment and pond products. Established since 1981, the family run company has succeeded in making the Cloverleaf brand a name that is respected by koi and other fish pond enthusiasts around the globe. 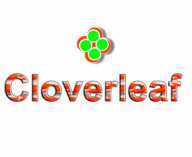 Design, innovation, focus on fish health, quality of construction & reliability are qualities that set the “Cloverleaf” brand apart. Nishikoi Aquaculture Ltd is based in Essex, England. 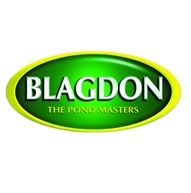 Since it's conception they have endeavored to bring Pond and Koi keepers the very best, quality food and products. Norwood Aquarium are pleased to bring Tirxie to the UK aquatic market.